The design fair, first international event of its kind in Brazil; will take place from the 14th to the 18th of June 2011. 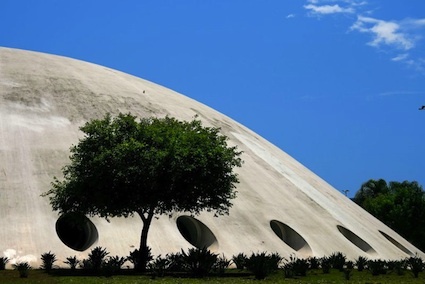 Design São Paulo is settled in the Oca, exhibition building designed by Oscar Niemeyer. The fair has chosen this location for its advantageous spaces, and its proximity to the Biennial pavilion that houses the São Paulo Fashion Week happening simultaneously. At the occasion of the fair, a rich programme of talks and lectures is scheduled, including on the 15th Humberto Campana, on the 16th Ingo Maurer, on the 17th Gijs Bakker and the 18th takes place a Pecha Kucha (short lectures on the format 20 slides x 20 seconds). The annual Designer of the Year price, bestowed by Design São Paulo honours this year the Campana brothers for their career. An exhibition space will be especially dedicated to the presentation of their works.